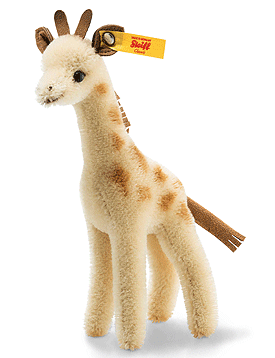 Wildlife Giraffe in Gift Box is from the Steiff Classic collection and made in beautiful beige and brown mohair. 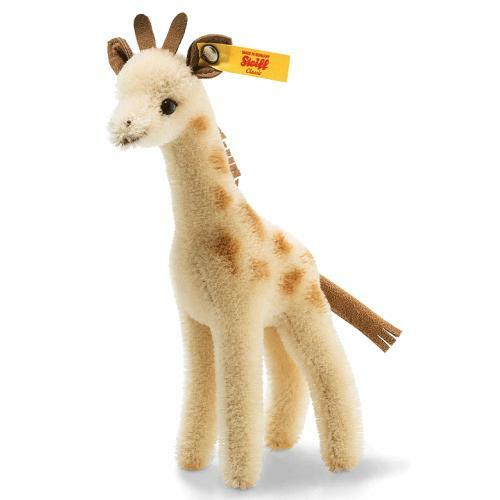 The 16 cm tall Wildlife Giftbox giraffe is a true beauty, featuring brown shading on her ears, hooves and horns. An intricate airbrush technique has been used to colour the corners of her eyes, her nostrils and her mouth. The giraffe comes to your door in the giftbox shown. 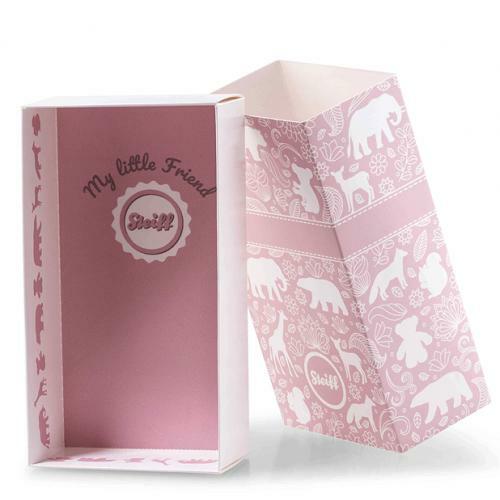 The stylish animal print and Steiff logo on the giftbox also make it a true eye-catcher.